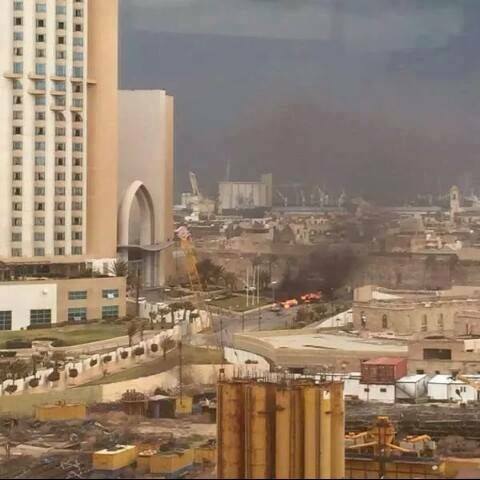 A luxury hotel has been stormed by gunmen in Libya’s capital Tripoli earlier today, killing at least nine people. According to SITE, an offshoot new terror brand called ‘Tripoli Province‘ had claimed credit for the attacks. “The newly-established provincial division of the Islamic State (IS) for Tripoli, Libya, published a photo report showing the “lions of the Caliphate”. Initial reports have stated that British, Italian and Turkish guests fled from the scene and that there may have been hostages, however Libyan that no hostages were taken and that at least two attackers had been killed. If the other gunmen were linked to an intelligence operation did they perhaps kill other unknowing dupes in the attack? “Security services were placed on high alert and a manhunt launched for the assailants who fled after the attack, the source added. Two days earlier a local administration official escaped unhurt after gunmen opened fire at him in a similar attack. Curiously, the Islamic group Libya Dawn, crafted a cease-fire last week at a meeting in Geneva to form a unity government. 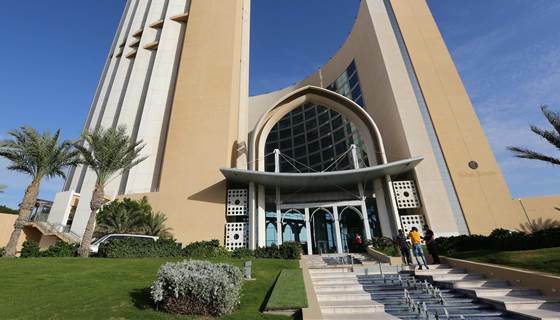 In late August, Libya Dawn aka Dawn of Libya, seized an annex of the U.S. embassy in Tripoli and just prior to that attack the US had withdrawn all personal from the nearby Embassy in Tripoli because of an apparent escalation in violence between rival factions. The perfect stage was set as the Corinthia hotel was largely empty as the ISIS linked group apparently could take their time choreographing the attack. This case already has the hallmarks of of a false flag event – similar to the recent events in the Paris attacks. While many more were killed in the Indian financial capital, with five-star hotels and other targets frequented by Westerners, it is important to notice a pattern in these types of events, as well as those who were implicated in the attacks. The Mumbai Attacks appeared to echo many Gladio-style events. SITE and it’s ‘sister organization’ at Intel Center, have both been repeatedly accused of (and caught) distributing completely fake al Qaeda videos, as each incident appeared to synchronized perfectly with various foreign policy announcements and election dates, while serving Western political machinations. Over the next week, look for neocons at FOX news, CNN pundits and others to bang the drums of war, all the while blaming Obama for dropping the ball on the Libya politically and keeping the manufactured threat of ISIS alive – in order to manipulate public perception in the West to push for a military’s response. Tripoli Province is said to have gotten a boost from ISIS militants spilling over the border from Syria, according to reports. 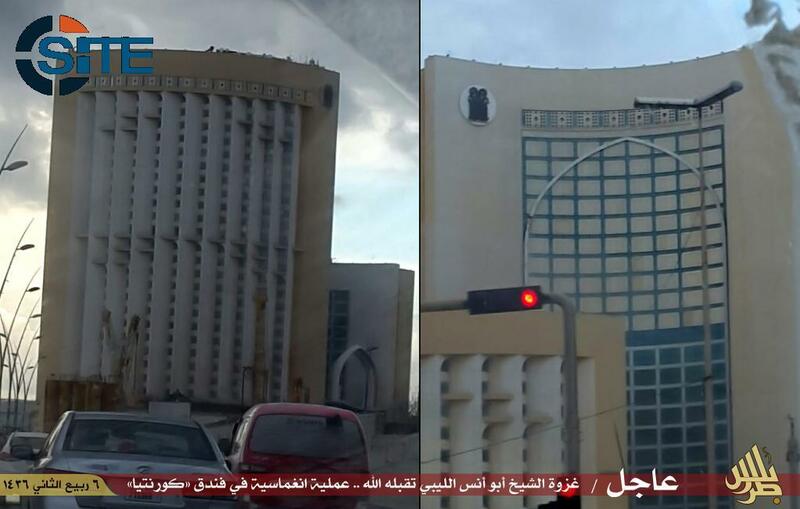 The gunmen have reportedly died as Libyan security forces arrived on the scene.